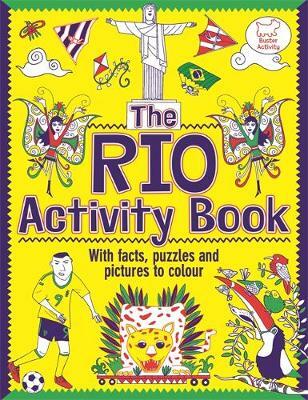 This amazing activity book is packed full of games, puzzles, things to make, doodles to do, fun facts and creative colouring-in activities, all celebrating the wonderful city of Rio de Janeiro. This vibrant city has not only been host to the World Cup in 2014 but is now also the home of the 2016 Olympic Games! From the iconic statue of Christ the Redeemer to Copacabana, from beach volleyball to football, and from street carnivals to Sugar Loaf, this book will take you on the ultimate Rio tour with a whole heap of fun along the way.